From my experience, if a dashboard doesn’t load within 5 seconds, users become frustrated. There are however exceptions to this rule. There are certain situations when a 15 or even 30 second load times are acceptable. These situations are generally at clients with very complex data and a large number of calculations in the dashboard. These types of dashboards may take 15-30 seconds to load but they also deliver valuable and extensive information. But no-matter who the audience, every step must be taken to improve performance and create the “Best possible user experience”. How many rows are in the dashboard? How many rows do the formulas interact with? As a general rule, Xcelsius cannot handle more than 5000 rows. Some people will tell you the number is much lower, like 1000-2000 rows. Large data will definitely lead to slow load times. Some functions have a bigger impact on performance than others. I’ve found that vlookup and hlookup do not have an impact on performance unless they are applied to a large number of rows. But one Excel formula that has caused me grief (and poor performance) is the SUMIF() function. This is a great function, but must be used on small blocks of data. Another place to look, believe it or not, is with your choice of Theme and Color. Xcelsius provides 9 themes out-of-the-box; (Admiral, Aqua, Graphite, iTheme, Windows Classic, Aero, Elan, Halo, and Nova). There are also 27 different color themes available. 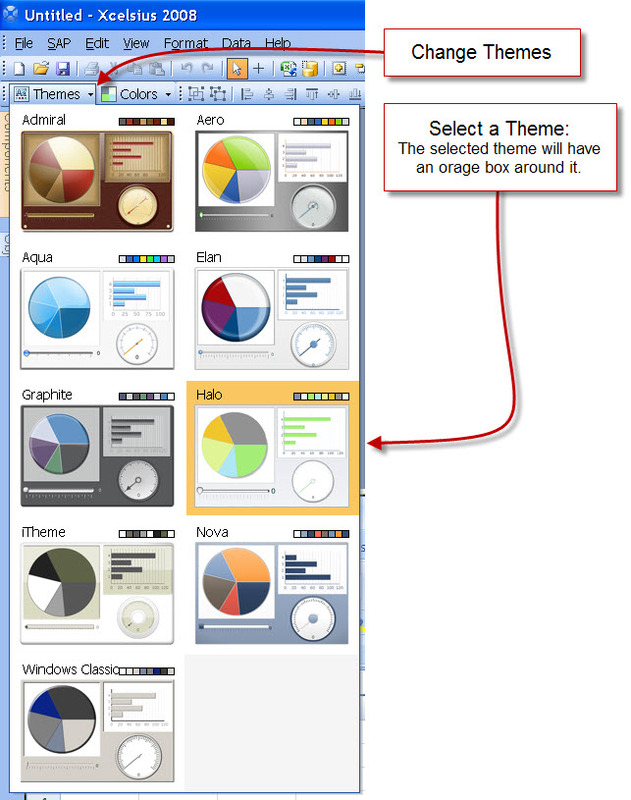 The combination of built-in theme and color provides a great head start for creating attractive dashboards. But as attractive as they may be, THIS could be the cause of your slow load time!! (It was mine)!! 3. 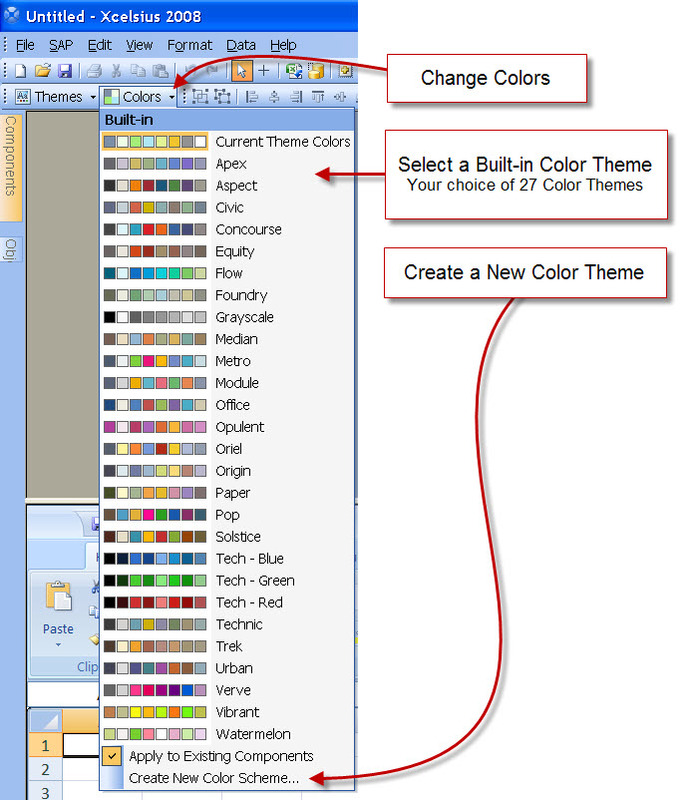 Try a new theme or color. Please let me know if you’ve experienced similar issues or other issues with slow load times and I’ll update the post. How to create Pop ups in Xcelsius 2008? ← One of MyXcelsius’ Own Competes in Reportapalooza! We have the same issue in our dashboard. We didn’t use complex excel formulas, but we changes the color theme to a user defined. The dashboard initialized any more. We wait over 2 minutes before aborting. If we change the color theme to “current theme colors” the dashboard initialize in 2 seconds. This is a big problem because we want to use our corporate design colors. Do you have any suggestions? Is there any body who can change the theme? Thanks for writing. To use the colors in the template causing the slowage, I wrote down the RGB color codes, switched to a much better performing theme, then manually changed the color of the components. It’s kind of a pain, but in the end, it’s worth it to improve the performance. Could you list out the better performing themes? I am facing similar issue due to SUMIF . I am applying sumif on 550 records. My dashboard is taking too much time to reload the stacked chart. Please let me know if you have any workaround for sumif. my dash board does not have any calculations in dashboard we did every thing on the webi side and using LO connection, still takes more than 20 sec to load. I realize there are about 18 connections and 24 Line charts and every chart is controlled by radio button and values are passed within one tab (3 charts). So i guess its a heavy dash board and the amount of time its taking is justifyable. Thanks. Toor.